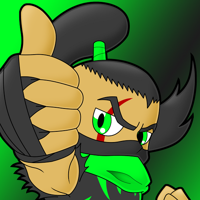 Residing within The Haunted Forests; Gecko is a Ninja, Artist, Animator, Editor, and Gamer. Gecko provided his artistic talents for Gaijin Goombah’s Youtube Show “Game Exchange” and “Culture Shock”. Gecko helped form “TheGaijinGamersPlay” Let’s Play Youtube channel which consists of Gaijin Goombah ,and his wife Akiterra, as well as the adorable Ghostly Boo Allochii. Gecko is your friendly neighborhood Ninja and seeks to help as many people as he can who are starting out in the same fields as him.